Splash Lite HD Video Player takes about one second to start application and High Definition video playback! Splash Lite HD Video Player let you watch High Definition movies and digital television (DVB-T). Enjoy the best video quality and unique user experience. Advanced picture post-processing engine, delivering the best video quality. 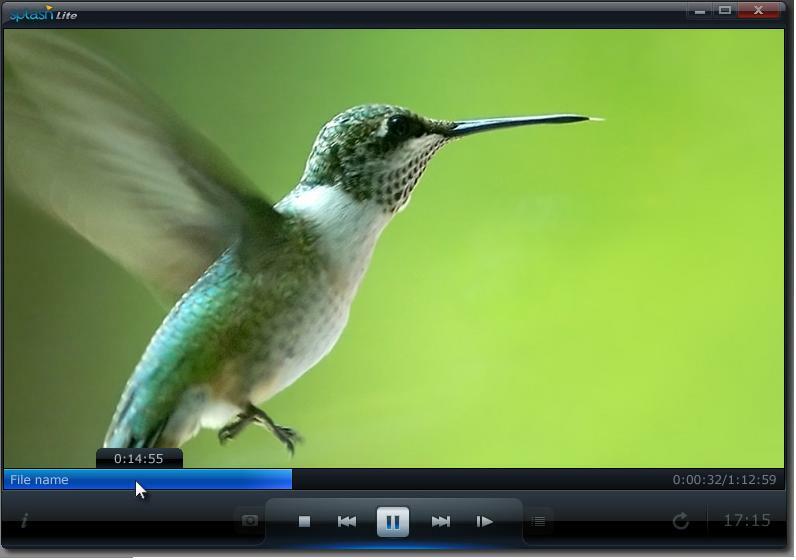 Splash Lite HD Video Player let you watch standard and high definition videos like never before. Optimized to deliver top quality video on all PCs: desktops, notebooks and netbooks. Splash Lite HD Video Player can watch, timeshift and record high quality DVB-T television with pleasure. Easy navigation and fast channel zapping. Rediscover standard television with high quality and power saving image post-processing technologies, optimized to work with desktops, notebooks and netbooks. Splash Cash Fruit Machine, No1 slot machine simulator! The cards will be falling, in combinations of many different shapes. Qweas is providing links to Splash Lite HD Video Player as a courtesy, and makes no representations regarding Splash Lite or any other applications or any information related thereto. Any questions, complaints or claims regarding this application Splash Lite HD Video Player must be directed to the appropriate software vendor. You may click the publisher link of Splash Lite on the top of this page to get more details about the vendor.